IBJ’s Defender Engagement Series (DES) trainer Ms. Wu has always had great sympathy for the poor and, in her own words, “long dreamed of becoming a lawyer.” Her initial interest arose from a desire to be part of a respected profession. But, she says, early on she learned there were multiple paths in the profession. Wu decided to forgo more lucrative pursuits and instead to seek respect through her dedication to public service. This past summer, Wu became involved in IBJ’s early access to counsel project. For her first IBJ case, she handled robbery charges against an indigent, physically disabled defendant. The client had been involved in a business deal, but his partner had not paid him. He and a friend sought payment from the partner and detained the partner for several hours. The partner reported the incident to police and the client then voluntarily surrendered himself. The client was charged with robbery, which carries a maximum penalty of ten years in prison. Wu became involved in his case at the early police investigation stage. Not content to simply accept the charges as filed, she conducted her own investigation including several thorough client interviews. This led her to realize the facts supported only the reduced charge of illegal detention, not robbery, because the money in question lawfully belonged to her client. She pointed out these facts, and also argued for a mitigated sentence based on her client’s voluntary surrender. As a result of her diligent defense, her client was given a sentence of just six months for the lesser charge. This beneficially impacted not only her client, but his family, who relied on his financial support. On his release, the client, his wife, his son, and his sister visited Wu’s law office to display a silk banner showing their gratitude and praising her efforts. Without her, he would still be in jail for robbery, a crime he didn’t commit. Instead, he told her he had recently purchased a small motorbike in order to earn a stable living. He told Wu that because of her help, he now had hope for the future. 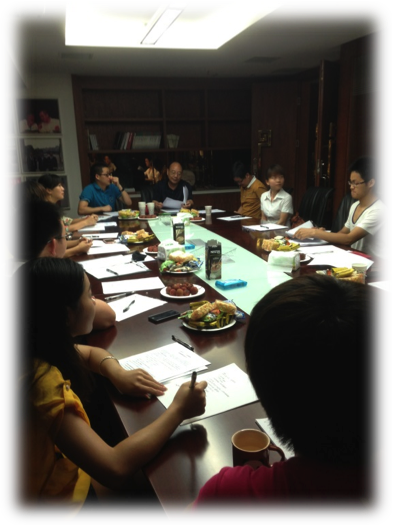 IBJ supports defenders by holding roundtable events for legal professionals, such as this lawyers salon attended by Ms. Wu in September 2013. 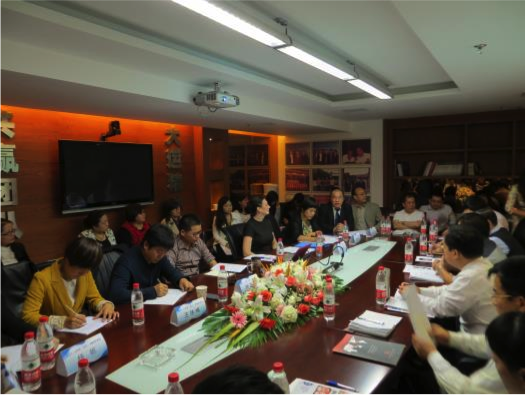 As of Oct. 31st, 2013, over 2,696 justice sector professionals have attended IBJ lawyers’ salons and roundtables across China. Wu realized the power of her client’s story – the power to illustrate the profound difference a lawyer can make in the lives of a defendant and his family – and decided to share it (with identifying details omitted) with young lawyers participating in an IBJ Lawyer’s Salon. During the event, she also explained the practical and ethical lessons she had learned through her career in defense. She instructed young lawyers to first, be responsible and reliable. In doing criminal legal aid cases, lawyers should aim at providing quality representation for clients by preparing for and presenting the case to the best of the defender’s ability. Second, focus on details. Lawyers should pay attention to any detail that may affect the crime and sentence. Lawyers should also pay attention to any valid and true argument or fact that could strengthen a client’s case. And lawyers should render a thorough and competent defense of the client regardless of personal opinions about the client’s guilt or innocence. Third, lawyers should be active in every stage of the case, especially in legal aid cases when the client is often too disadvantaged to protect themselves against a neglectful lawyer who mishandles the case. Wu emphasized to the young lawyers that they are not working for the government in legal aid cases. Instead they should remember they are working for the client, the one who truly needs legal aid. These young lawyers were greatly affected. One wrote in a survey response, “Before I did not want to do criminal cases, because I cannot earn much money from doing criminal cases and will spend a great deal of time. But I may have ignored the happiness of really saving a defendant’s life and changing his life, especially in legal aid cases.” The young lawyers also told IBJ staff that this event increased their sense of identity, not just as lawyers, but as defense lawyers. These responses motivated Wu to pursue even more opportunities to reach out to young lawyers. 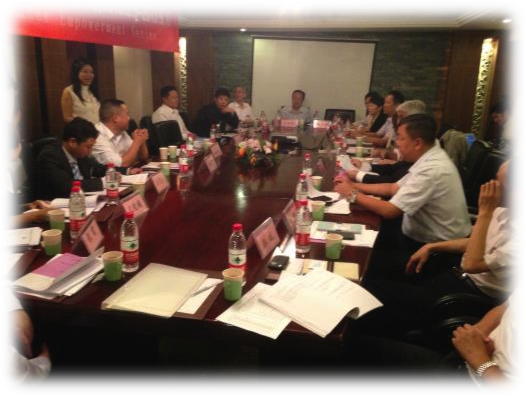 In September, Wu attended a week-long Training of Trainers event held by IBJ in Beijing. She and sixteen other senior legal professionals were selected as IBJ’s new DES trainers. At the event, experienced trainers, international experts, and IBJ staff trained Wu and others to plan and present their own effective training events for defense lawyers. They learned the IBJ method of incorporating interactive techniques which enable students to learn by doing. Wu says she “learned not only skills but also very interesting training methods,” and was “deeply impressed.” She felt “[t]he interactive training method was very inspiring” and drafted a plan to hold at least two training sessions of her own in the coming year. Never one to delay, Wu led her first training as an IBJ DES trainer just a few weeks later. Over 50 lawyers from 13 different law firms attended. A majority of attendees were young lawyers, and almost half lacked any experience with criminal defense cases. Wu led a lecture on client interviewing techniques and then facilitated participants in a moot court activity to practice their new skills. Although it was Wu’s first IBJ training, every single attending lawyer rated her session “good” or “excellent” on training content, training style, and relevance of learned skills to their future practice. In addition to learning practical skills, many lawyers told IBJ staff they were moved by Wu’s dedication to her clients. In response to Wu’s training, one lawyer reconsidered his treatment of legal aid defendants and told IBJ staff he would strive to be patient and kind with his clients in the future. Wu says even though she has little money, she feels rich in her heart. The trainer’s name has been altered to respect confidentiality.